Jay Cassill has been working on cars since he was 8 years old in his Dad's garage. He has a contagious passion for cars, trucks, motorcycles - and anything with an engine! Because Cassill Motors has always had a wide variety of vehicle options, Jay has had the opportunity to work on just about every make and model of vehicle. 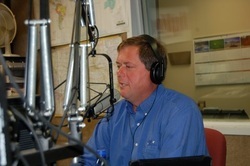 His experience and natural skill as a mechanic has also given him the opportunity to host a call-in radio show on WMT called the "Expert Hour". Listeners call with all kinds of car questions and Jay helps them figure out what is wrong. As the "Expert Hour" audience grew, Jay was offered a new show - one where he could choose the name. Jay didn't like the word "Expert" and from the very first show joked with the host, Jim Doyne, about changing it to the Car Geek hour, since Jay is such a Car Geek. 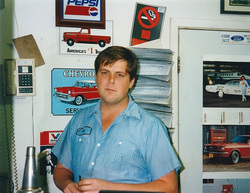 As a High School student in the 1980's Jay also ran his own tow truck business, including a contract with the Iowa State Patrol. 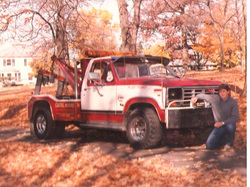 How many students have senior pictures taken with their tow trucks?